In this article, you are about to see simple and easy to copy ideas how to wear boyfriend jeans this Summer season. I decided to share with you unexpected and stylish looks that are going to hit New York City streets this Summer. You will need to keep your outfit simple and relaxed. A modern outfit should be comfortable and that’s where boyfriend jeans appear! Thanks to their loose-fit silhouette you can forget about discomfort and think of what tops and shoes you can add. Indeed, simplicity is the key. 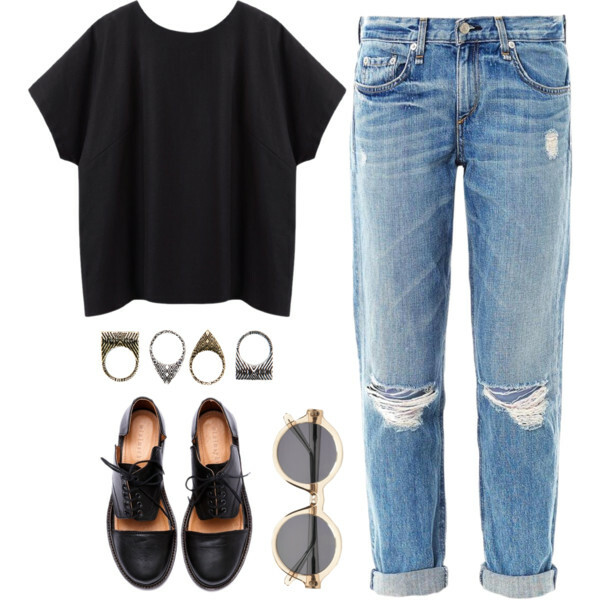 A black T-shirt ideally suits knee-ripped washed blue boyfriend jeans. Add cut-out lace-up black leather mannish shoes and clear rounded sunglasses. If you want to look great everywhere you go, then you will need versatile clothing. In today’s article I want to share with you my favorite tops and shirts that can be worn by women over 40. I am talking about casual, dressy, hipster, business and classic tops that can be easily combined with trousers, denim and skirts. Every single outfit shown in this collection will underline your femininity and uniqueness. Ladies in 30 start to rethink the way they look in everyday life. I’d like to show you my favorite shirts and tops that can be copied by women over 30. 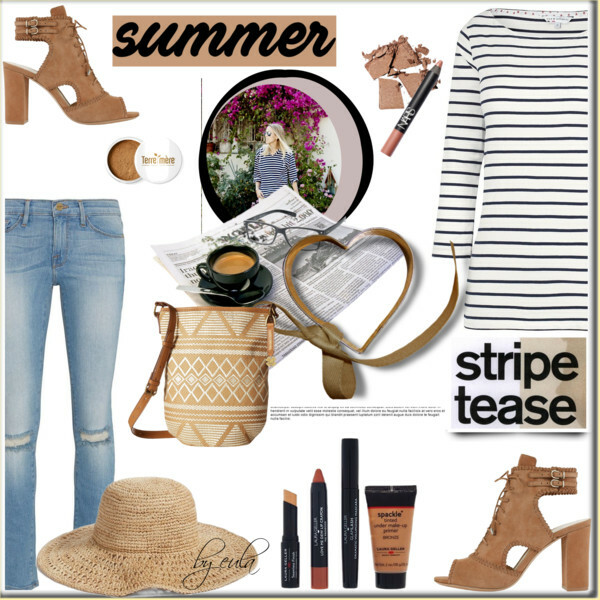 I am talking about summer and fall season combos that are easy to copy and wear. Everyone’s gonna find here something interesting. 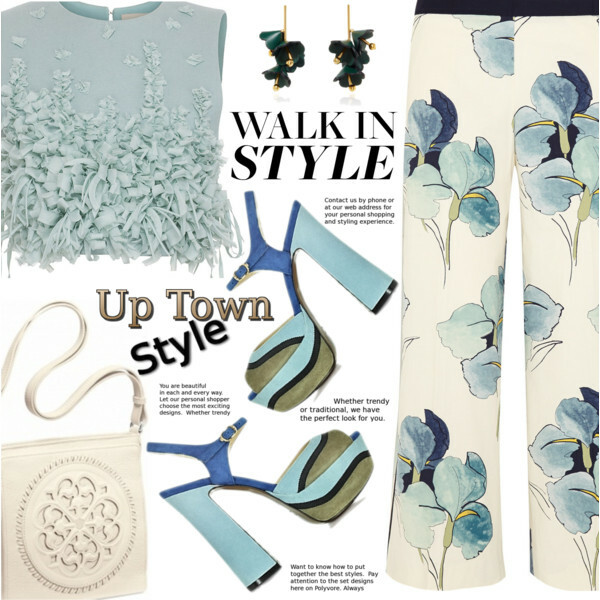 I am here to show you 30 casual ways to style tops this year. Let the perfect blend of style meet comfort and relaxed vibe. Let the casual style be a very special part of your life. The following collection features amazing outfit ideas you can recreate next week by wearing it on the streets, country weekends, home parties and all kinds of other events. A simple cream-white top is worn under micro black-white checkered sweater and tucked in dark blue sailor inspired wide-leg pants with golden buttons. It’s time to discover the latest styles of women’s sweaters and knitted tops. I gathered 25 lovely outfit ideas for your one and only inspiration. You gonna see ribbed knit jumpers, slouchy sweaters, cable-knit pullovers, all kinds of turtlenecks and layered looks. Every showcased piece in this collection can be paired with your everyday work clothes, as well as with going out essentials and laidback weekend outfits. There will be no problem for you to find in this street style collection any kind of sweater that will fit your style and needs. I am sure, the following sweaters will complement all your favorite outfits. Each one of these styles attracts attention with its color, silhouette, texture and design. Scroll down to see all my favorites. A ribbed knit black sweater is teamed with a black-white checkered mini skirt and lace-up ankle-boots in black leather.